Colonel John Harrison Doughty opened J.H. 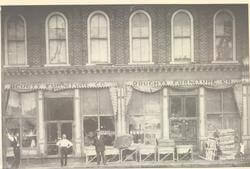 Doughty Furniture and Undertakers Company on Main Street in 1892. It was a three story brick building at the corner of North Main Street and Church Street (present location of Andrew Johnson Bank). Funeral customs then were much different from today, embalming, visitation, and often the funeral service itself were all done in the home. In the early 1900’s Col. Doughty brought his son, Willis Henry Doughty, Sr., into the family business. After the death of Col. Doughty in 1910, Thomas W. Stevens joined the company as a partner – hence the name Doughty-Stevens. Over time the company grew and in 1917, the decision was made to employ Charles M. Mismer, a licensed mortician, to run the undertaking business. In 1929, when Doughty and Mismer bought out Stevens, the company purchased a private residence at 205 N. Main Street in Greeneville to accommodate the growing business. At this time bodies were being prepared at the funeral home and readied for visitation, rather than in home. Visitations were slowly starting to occur in the funeral home as well as a few funerals. 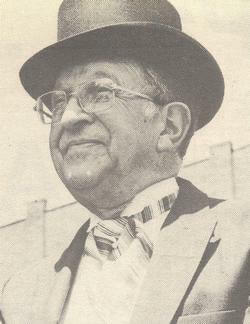 Mr. Mismer remained a partner in the business until his death in 1961, having led the funeral home for 44 years. 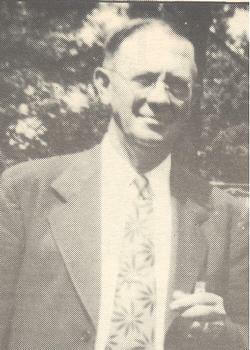 Upon the death of Mismer, Ralph W. Bohannon was made manager and partner. Bohannon had been a mortician with the company since 1937. It was during Bohannon’s leadership that the company purchased the spacious and elegant home of Mr. and Mrs. L.M. Fox at 1125 Tusculum Boulevard. A large addition was made to the structure, making a 25,000 square foot, three story facility. At its opening in 1970, it was said to be one of the largest and finest in the South. Ralph Bohannon died in 1987, with 50 years of service with Doughty-Stevens Funeral Home, serving as Manager for 26 of those years. Following the death of Bohannon in January of 1987, Hal Carter was appointed as Manager for a short time. It was in 1991, that Alma Morrison Jones became the first female funeral director to care for families in Greene County. Not only did Alma help families after death, she was well known for her knowledge of insurance. During her career she was a preneed sales counselor for nearly 30 years and a funeral director 25 years. Mrs. Jones died in 2016. Harold Limburg was named manager in late 1987 and served until 2000. In 1992, the funeral home celebrated 100 years of service to the community. A picture of the staff has been attached from that year. Upon the departure of Limburg, Hal Carter was once again named Manager and served until his death in 2001. John Salyers became manager in 2002 and continued until 2006 when he took a job in Kingsport. Christopher Long was named manager after Salyers and served until 2008. Those pictured in the photo are standing left to right: Gordon G. "Buster" Greenway, Jr.*, Richard Merriweather*, Billy Hooper, Hal Carter*, Charles Ottinger, Ernest Parker*. William A. "Bill" Kennon III, Donnie Davis. Sitting on sofa: Jeff Hooper, Alma Jones*, Jean Gibson, and Harold Limburg. It was in 2008 when, Bill Hickerson and Joe Hickerson, great-grandsons of the founder Colonel J.H. Doughty decided they no longer wanted to operate the funeral home. After 116 years of operation, Herbert “Buddy” Mayes of Morristown acquired the firm on September 26, 2008, naming Jason Smith as manager. It is the objective of the management and staff to continue to practice the same high standards that began years ago, set forth by our forefathers. In November of 1956, the partners of Doughty-Stevens Funeral Home entered into an agreement with Denver Knipp and Elmo Johnson to lease Mosheim Funeral Home (formerly Bible & Gray Funeral Home) for a period of five years. On November 24, 1961, the partners purchased Mosheim Funeral Home from Johnson and Knipp. In 1989, the decision was made to remodel the facility and pave the driveway areas. Also at that time, parking area was added in the front lawn. While it was commonly known that Mosheim was owned by Doughty-Stevens Funeral Home, the management at that time, decided to change the business name to Doughty-Stevens Funeral Home Mosheim Chapel. For nearly 60 years that facility served the needs of western Greene County and surrounding areas. 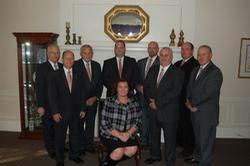 On July 31, 2014, the Mosheim Chapel of Doughty-Stevens Funeral Home ceased operation. Brown Springs Baptist Church expressed interest in obtaining the property for a outreach opportunity in the Mosheim area and the property was deeded to the church so that they may pursue that opportunity. Recently, the church sold the property to the Town of Mosheim. The longtime funeral facility will be serving the town as its headquarters for its newly formed Police Department. 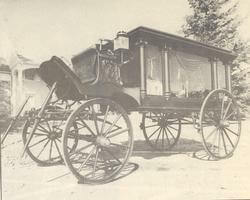 This horse-drawn hearse dates back to around 1900. After more funeral vehicles came into use. This hearse participated in the 1983 Bicentennial Parade in Greeneville and later in a documentary made on the life of President Andrew Johnson. In the early 1990's the hearse was reupholstered and refinished and later used in a funeral in Newport and in Morristown. The horse-drawn hearse was again refinished in 2016 and is still owned and kept at the funeral home.